The Emory Center for AIDS Research (CFAR) is one of 18 NIH-supported CFARs nationally. Emory held several campus events -- including the 11th Annual Quilt on the Quad display, a parade, music and dance performance -- in recognition of World AIDS Day on Dec. 1. With the observance of World AIDS Day 2016, the Emory Center for AIDS Research (CFAR) – continuously designated and funded by the National Institutes of Health (NIH) for 18 years – remains committed to decreasing HIV incidence, improving the well-being of infected individuals, training the next generation of researchers and clinical leaders, and ultimately finding a vaccine and a cure for HIV. Over the last decade there have been significant advances in addressing the epidemic with a 45 percent decline in AIDS-related deaths since the peak in 2005 and a 35 decrease in new HIV infections. Yet the epidemic is far from over. The Centers for Disease Control and Prevention (CDC) and the World Health Organization (WHO) estimate that 1.2 million people in the United States, and 35 million people globally, are living with HIV, with roughly 45,000 new infections per year in the US and 2.1 million new infections in 2015. "We are particularly concerned with the epidemic in the Southern United States which has become a microcosm of the global pandemic," says Carlos del Rio, MD, co-director of the Emory CFAR. "Atlanta is the #5 city in the U.S. for new HIV diagnoses, and Georgia is the #2 state. It is critical for us to continue a multi-pronged focus on prevention, increasing HIV testing, improving access and linkage to care and ensuring long term retention and viral suppression. The contributions of laboratory and clinical research and studies to understand how to improve outcomes of care will be critical in controlling the epidemic." del Rio co-directs the Emory CFAR along with James W. Curran, MD, MPH, dean of the Rollins School of Public Health, and Eric Hunter, PhD, professor of pathology and laboratory medicine and a Georgia Research Alliance Eminent Scholar. The CFAR includes scientists not only at Emory, but also at the Atlanta Veterans Affairs Medical Center and Morehouse School of Medicine. In addition to the NIH, the CFAR is supported by the Georgia Research Alliance, the Atlanta Clinical and Translational Science Institute, Children’s Healthcare of Atlanta, and multiple units of Emory University, including the Winship Cancer Institute, Yerkes National Primate Research Center, Rollins School of Public Health, Emory University School of Medicine, the Nell Hodgson Woodruff School of Nursing and Emory College. In Fiscal Year 2015, the $50 million Emory received from the NIH in HIV/AIDS research funding comprised approximately 20 percent of the University’s total NIH funding. In 2016, the Emory CFAR provided support for 205 faculty, postdoctoral researchers and graduate students, including 66 NIH independent HIV/AIDS investigators. Emory physicians, scientists and educators have played a key role in HIV/AIDS discovery and treatment from the earliest days of the epidemic. Emory researchers invented HIV/AIDS drugs currently used by more than 94 percent of U.S. patients and thousands more globally. An HIV vaccine first developed by CFAR scientists at the Emory Vaccine Center and Yerkes National Primate Research Center and licensed to GeoVax, Inc. is in phase II human clinical trials. The Ponce de Leon Center is a comprehensive HIV/AIDS Clinic directed by CFAR faculty member and current chair of the HIV Medicine Association (HIVMA) Wendy Armstrong, MD. At the Center, recognized nationally as a leader in HIV medicine, physicians from Emory School of Medicine in partnership with the Grady Health System provide care for nearly 6,000 people living with HIV. Clinical research is conducted there through the AIDS Clinical Trials Group (ACTG) as well as the HIV Prevention Trials Network (HPTN). In addition, the Ponce de Leon Center is the site for the Woman’s Interagency HIV Study (WIHS). The Atlanta VA Medical Center houses a clinical HIV program staffed by CFAR physicians that treats the largest population of HIV-infected patients within the national VA system. Research by CFAR scientists at the VA has been critical to new insights on HIV disease care and progression through the national Veterans Aging Cohort Study. The Hope Clinic of the Emory Vaccine Center continues to be a national leader in conducting clinical trials for HIV vaccines and is a top-enrolling site for the NIH HIV Vaccine Trials Network (HVTN) and is also a leading clinical site for the HIV Prevention Trials Network (HPTN). Researchers at Emory’s Hope Clinic and the Ponce de Leon HIV/AIDS clinic began enrolling patients in the AMP study (antibody-mediated prevention) a new NIH-sponsored clinical trial to test antibodies that neutralize the virus, with the aim of preventing viral infection. Behavioral interventions designed by CFAR faculty are used by the CDC as part of its recommended prevention interventions. The Rwanda-Zambia HIV Research Group, founded and directed by CFAR-affiliated faculty, recently celebrated the 30th anniversary of its successful model for HIV prevention via couples voluntary counseling and testing (CVCT). 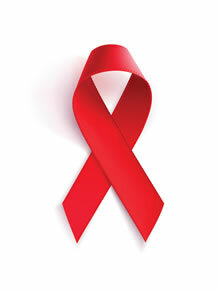 CVCT has reduced HIV transmission within couples by more than 70 percent in Rwanda. The WHO now recommends CVCT as an intervention for prevention of heterosexual HIV transmission. The Emory-led Consortium for Innovative AIDS Research in Nonhuman Primates (CIAR-NHP) was awarded a five-year, $35.6 million grant from the NIH to develop new strategies for preventing and curing HIV/AIDS. The new partnership focuses on a wide range of HIV vaccine and cure research, with the aim of developing a potent HIV vaccine that produces a broad and sustained immune response. Researchers also aim to refine existing "shock and kill" approaches that seek to eliminate HIV from latent reservoirs in infected individuals, enhancing the possibility of a cure. Emory CFAR faculty co-chaired and are members of the Fulton County Task Force on HIV/AIDS. The Task Force has developed a strategy to address the local HIV epidemic. The strategy incorporates broad-based community input and includes recommendations for prevention strategies and delivery of care with the ultimate goal of ending AIDS in Fulton County.